Today in Marvel’s latest teasers, it looks like Thanos will take the spotlight in one of his memorable miniseries. 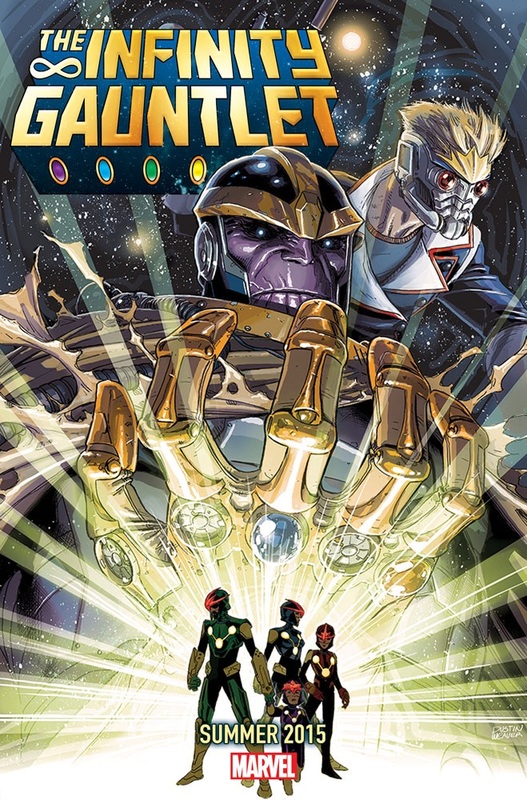 It looks as though Infinity Gauntlet will come back in some shape or form next year. It’s probably to much to ask, but is one of those Nova Corps Richard Rider?